There has been a house at Alscot since the middle Ages. At one time it belonged to Deerhurst Priory in Gloucestershire and then ownership passed to Tewkesbury Abbey. After the Dissolution of the Monasteries in 1539, it passed into private hands. In 1747 Preston and Alscot, together with the adjacent manors of Whitchurch, Wimpstone and Crimscote, were sold to James West, MP. West's father was a successful London cloth merchant and his grandfather the Mayor of Banbury. 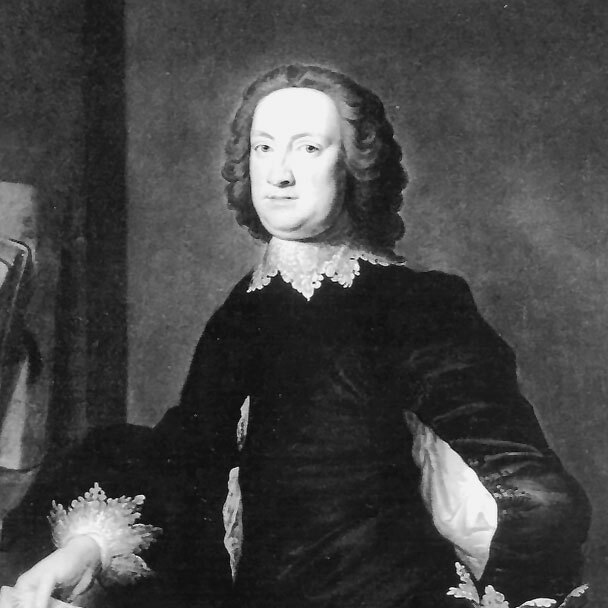 Through his parliamentary connections West knew many members of the gentry and nobility who had country mansions in the Midlands, such as George (later Lord) Lyttleton of Hagley, Lord Aylsford of Packington and Lord Coventry of Croome. During the first phase of extension the new north wing was built around the old house and designed with battlements and projecting bays with pointed gothic windows, which remain. In 1762-6 the larger south wing of the House was built, with Palladian proportions and a gothic exterior to match the north wing. The interior of the south wing in particular is richly decorated in gothic plasterwork relief and guilt edged panelling, and the north wing boasts limed oak panels and decorative shutters. The stables and the conservatory were also put up around 1762-6, and the kitchen garden walls were built –all which are still in-tact. In 1815-20 a gothic entrance porch was designed and added to the south front. Later gothic lodges at the head of the long drive, off the main Stratford Road, were built in 1838. The River Stour runs directly past the house, and there is a bridge with gates over the upper and lower ponds. There are some wonderful old trees in the grounds, in particular some cedar trees, a venerable tulip tree and sweet chestnut. In the kitchen garden there is a walk underneath arches on which apple trees have been trained, and in front of the orangery is a swimming pool. The garden beds are a riot of colour in the summer and include a fragrant lavender garden. The magnificent hedges were planted in the 1960’s to create an enclosed area to the west and south of the kitchen garden. The hedge that runs the length of the Blue Border is wavy and the intention is that it conjures the image of a serpent. In front of the house sits a stunning iconic creation of lawn and laid stone which resembles a maze. The ha-ha that is attached to the south end of the west terrace wall extends south and then east around the gardens of the house. It has rock-faced masonry with piers at intervals with caps and cast-iron cresting, and is listed along with the park walls as Grade II listed buildings. Today, Emma is the ninth generation West to call Alscot Park home, which she shares with her husband Andrew and their three children.